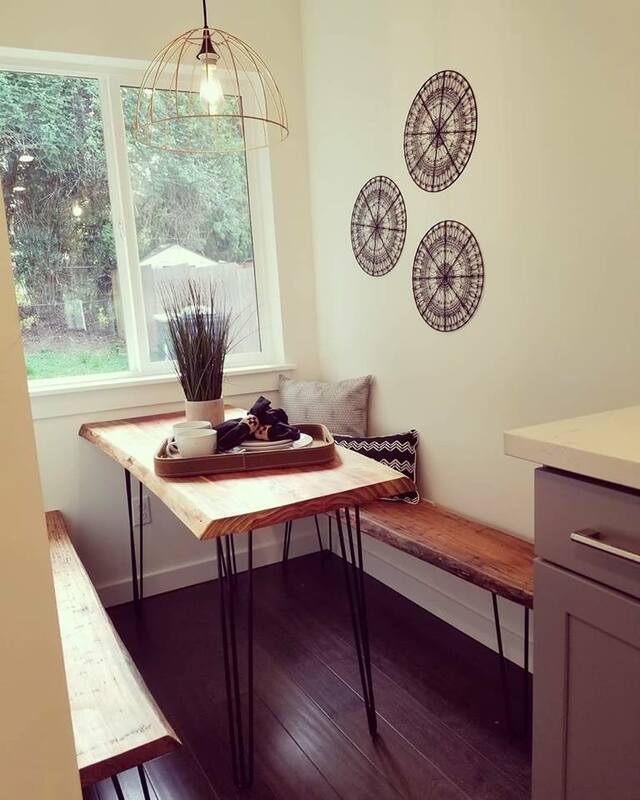 These custom made live edge hairpin leg table and benches are the perfect solution for this 4ft X 6ft kitchen nook! The builder installed them, and we added the finishing touches! ?